Introducing the 2018-2019 Signature Series...from edgy to elegant! We are excited to announce our inaugural Signature Series for the 2018-2019 season. 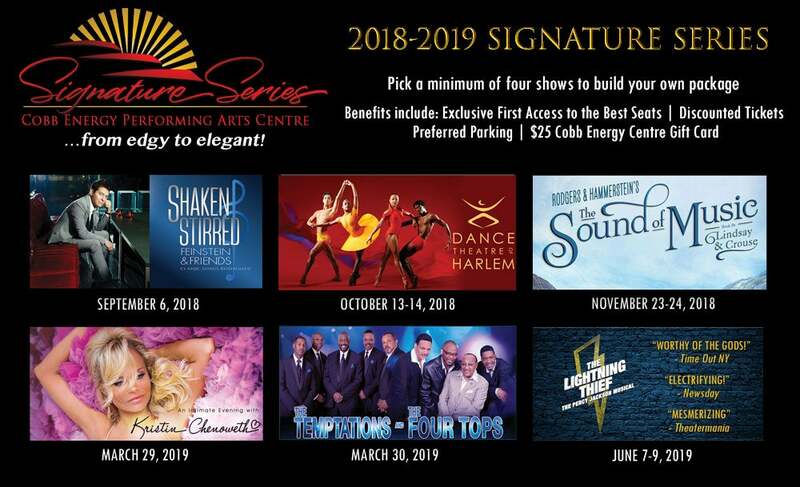 The series offers a variety of performances from September 2018 to June 2019 including standout shows such as The Sound of Music, Dance Theatre of Harlem, Emmy and Tony Award winning actress and singer Kristin Chenoweth and much more! We can’t wait for the series to begin as we have carefully crafted a series that has something for everyone. Group tickets and series packages are available now so head to our events tab to get yours today!